Are you looking for an easy to setup local-hosted JSON server? This course is designed to help you setup and learn to practice JSON and AJAX. Use it locally on your own machine and practice working with AJAX and JSON all from your computer. No CORS errors no problem everything done locally. Designed to help you learn and practice JSON and will walk you through settings up JSON Server. This will give you a fully functional JSON database that you can use to practice JSON and AJAX. Course covers basics of XHR requests in j	7;vascript and how to GET and POST data. Learn how to make XHR requests, see the updates to the database directly in your editor viewing the JSON database. Find out more about tools and resources used to make XMLHttpRequests in j	7;vascript. 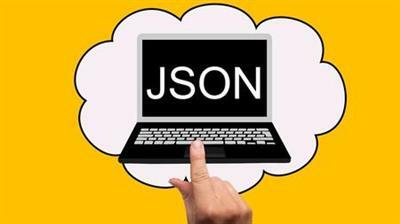 j	7;vascript Object Notation or JSON is an open-standard file format that uses human-readable text to transmit data objects consisting of attribute-value pairs and array data types. It is a very common data format used for asynchronous browser-server communication, including as a replacement for XML in some AJAX-style systems.